During my PhD study and for the first ten years of my academic career, I researched alone. I went to the archives, I discussed and presented my work to academic audiences, and I published books and academic papers. Though like many others, I felt myself to be engaged in a larger intellectual project (subaltern studies, new imperial history, convict history etc. ), essentially I was on my own. My research career changed in 2008, when I started work on a collaborative project on the Andaman Islands, a Bay of Bengal archipelago that was part of British India, and since Independence in 1947 has become a union territory of the Republic of India. I secured funding from the Economic and Social Research Council to work with two India-based colleagues who I had the good fortune to meet at an academic conference, Madhumita Mazumdar and Vishvajit Pandya. I was interested in the Islands because they received the largest single number of convicts of any penal colony in the British Empire. Madhumita and Vishvajit had their own concerns – Madhumita as an historian of science was engaged with questions of the Islands’ development; anthropologist Vishvajit had already worked for many years with Indigenous (tribal) groups living there. The genesis of our project was a collective realisation that our disciplinary and subject trenches did not enable us to answer questions that are pressing in the Islands today. These are to do with land, in particular, and the relationship between the Islands and the Indian mainland. The eventual outcome of an intensive 3 ½ years of research was the book, New Histories of the Andaman Islands: landscape place and identity in the Bay of Bengal (Cambridge University Press, 2016). It turns on a framework attentive to space, landscape and visuality. We took a multi-disciplinary approach, bringing together our work – in public and private archives, on memorials and photographs, and through interviews, ethnographic observation and (for Vishvajit) anthropological research – to bear on a set of collective questions. These included: What are the historic roots and land allocation? How were the Islands ‘developed’ in the twentieth century? What does the history of the Islands as a penal colony mean for Islanders’ understandings of their place in the history of Empire and nation? In what ways does the Islands’ Second World War occupation by the Japanese manifest itself in contemporary identity claims? How do Indigenous people imagine the spatiality of the forests that they inhabit? In what ways do the Indian nation state and Islanders perceive and use built structures of commemoration? And, importantly, what are the historical and contemporary specificities of the Andamans as islands? I open with a discussion of this recently completed project, because it has completely changed the way that I do research. I can no longer think solely of working alone; of collecting, interpreting and writing by myself. Of course, I often work in solitary fashion in archives, and I single author, present and publish research papers and lectures. But, I am now part of a team collaborating on a larger historical project, and I can no longer imagine working in any other way. As followers of this blog will know, the Carceral Archipelago is attempting to write the first global history of convicts and penal colonies since 1415. No single historian has the historiographical/ disciplinary/ area studies background understanding, the scholarly networks, or the knowledge of archives and languages necessary to write even a tiny part of this ‘global history’. Only a group of scholars can work on a set of questions that cuts across geographies and sources. And, only a team has the capacity to get through an enormous amount of reading and archival material necessary for such an endeavour. 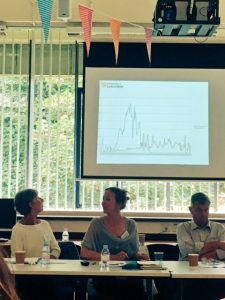 And so I come to our ‘sister project’, Snapshots of Empire, and the hugely enjoyable workshop that myself and Carceral Archipelago project team members Kellie Moss and Katherine Roscoe attended recently at the University of Sussex. Snapshots of Empire is another team based project. Directed by Alan Lester, who is working with postdoctoral researchers Kate Boehme and Pete Mitchell, Snapshots is trying to transform the way that we understand history, and do our research, by working across three established distinctions in studies of Empire: between governance and governmentality; between imperial and new imperial history; and between Colonial Office and India Office archives. The difference between each of them might be summarised as follows: governance equates to government and administration, governmentality (in Foucault’s sense) to the management and control of people and populations at large. Imperial history tends to focus on administration, economics, business and trade; and new imperial history foregrounds subaltern studies, gender and race. Colonial Office records, the UK side of the archival record of British colonies, dominions and dependencies, are held at The National Archives in Kew. India Office records, the UK archive of the British Indian Empire in South and Southeast Asia, are kept in the Asian and African Studies reading room, on the top floor of the British Library. As its name suggests, Snapshots is engaging with these issues via the taking of slices of imperial history – across the whole Empire including India – in 1838, 1857 and 1879. Theoretically, it seeks to work out the meanings for Empire of the implications of a series of nineteenth-century structures and concerns: simultaneity (the management of multiple systems all at once); agglomeration (the co-location of the Colonial Office and India Office, in London); triage (the balancing and handling of trivial and important matters); heterogeneity (appreciating the diversity of imperial governance); the more-than-human (steamships, technology etc. ); and inter-imperialism (British imperial relations with other global powers). At the workshop, the research team presented material from its findings so far. This included how British officials in the Colonial Office balanced their personal beliefs and views on Indian indentured labour and enslavement with plantation labour demands. Also, an articulation of how planning for the system of assignment for Liberated Africans (illegally traded slaves, captured and ‘liberated’ in apprenticeship by the British) in Sierra Leone drew on practices of convict assignment in Australian penal colonies. We heard too about Irish sympathies to Indian rebels during the 1857 Uprising, and how on other occasions resources were directed and manipulated, sometimes to the colonies’ advantage. 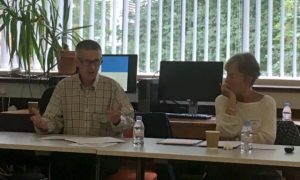 Dan Clayton, John Darwin and myself, in our response to the papers, raised further issues about the importance of the Snapshots project with respect to trust, scale, trivial exclusion, ‘the official mind’, Indigenous expropriation, and the impact of Empire ‘at home’. Catherine Hall, director of the Legacies of British Slave Ownership project, noted the numerous collaborative projects that are currently underway, but reminded us all that team-based history is not necessarily or by its nature exhaustive. She cautioned us against straying from the original aims and intentions of our respective projects. It is certainly the case that the broader the scope of one’s work, the larger one’s expectations become. 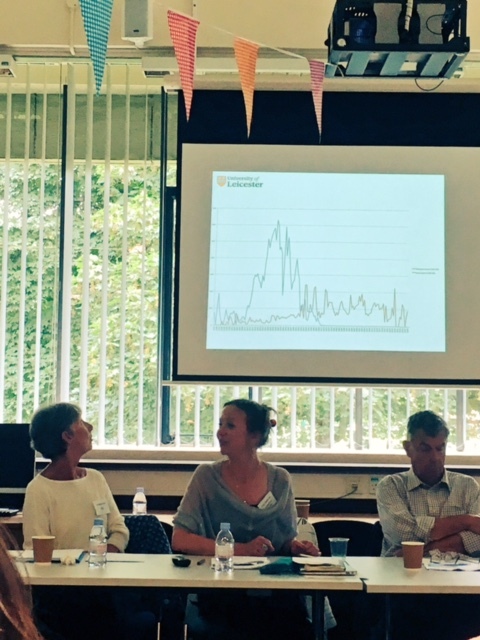 The Carceral Archipelago project is self-consciously synthesising relevant literature where possible, and otherwise addressing one of the key historiographical gap of the period to the 1750s (the Spanish Empire), and focusing the rest of its archival work on the period since 1780. The subtitle of the Snapshots project is ‘Empire everywhere and all at once’. This is an important reminder that transnational research does not have to be ‘everything and all at once’. The point of global history, after all, is not to produce Annales School style total history. Rather, in the words of global historian Jan De Vries, it is ‘a house of many mansions’. It incorporates the history of both large-scale processes and the transnational interactions and small histories that work within and beyond the sphere of the state. (1) It is the large and the small, the connected and the disconnected, that concern both the Snapshots of Empire and Carceral Archipealgo teams. (1) Jan De Vries, ‘Reflections on doing global history’, in Maxine Berg, ed., Writing the History of the Global (London, 2013), p. 32.